Slow Cooker Hawaiian Meatballs – This recipe takes only 3 ingredients and 5 minutes to make! 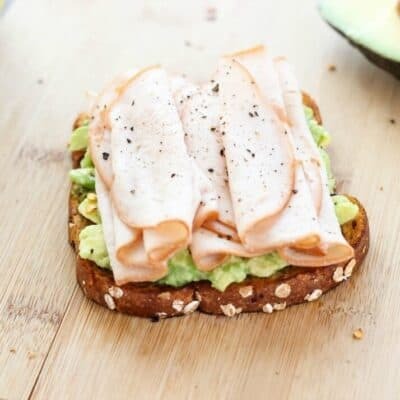 So easy and always a crowd pleaser. Makes the perfect appetizer or main dish. Meatballs are a family favorite in my house and get devoured in a matter of minutes! We love this Hawaiian meatballs recipe, as well as BBQ meatballs, Italian meatballs, turkey meatballs, meatball subs and meatball sliders. I’m super excited to share another variation of my grandpa’s famous slow cooker meatballs. After many requests, I’m sharing another favorite of ours that uses pineapple. These Hawaiian meatballs (also know as sweet and sour meatballs) are very similar to my grape jelly BBQ meatballs, however I used pineapple juice instead of grape jelly to give them more of a Hawaiian flavor. The taste of the sweet and sour meatball sauce is SO delicious! It’s tangy, rich and seriously addicting. 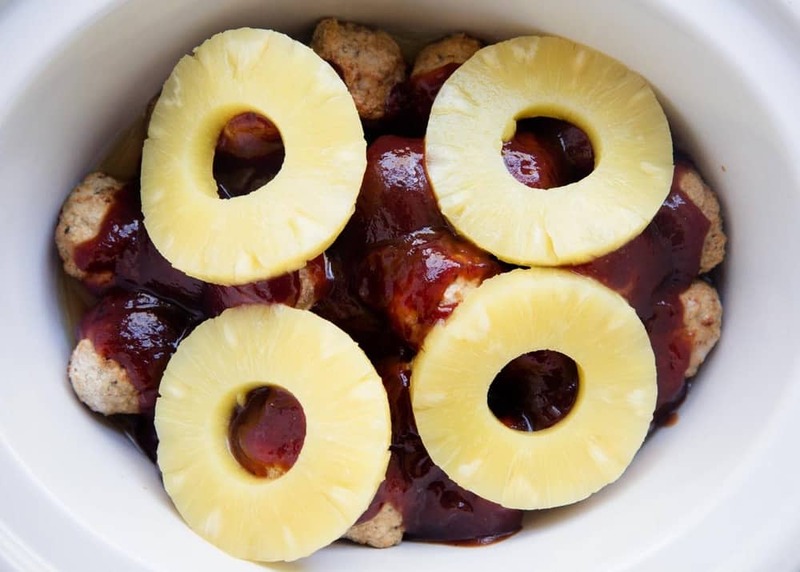 The BBQ sauce does give these pineapple meatballs a little kick, but they are still pretty mild with lots of flavor. 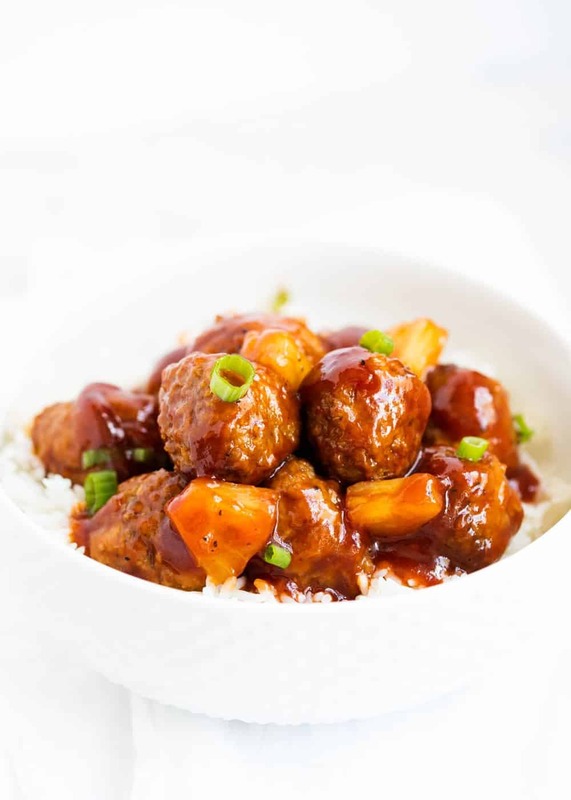 We love to serve the pineapple meatballs over rice topped with green onions for a main dish, however you can eat them plain as well. They are one of our favorite Hawaiian appetizers and are always on the menu whenever there is a big game. The boys always devour these Hawaiian meatballs so fast! These sweet and sour meatballs only require 3 simple ingredients and are prepped in just 5 minutes! My kind of recipe. :) I used a can of pineapple that I had on hand, but you could use fresh pineapple if you prefer. You could also use homemade meatballs as well if you’d rather not use frozen. 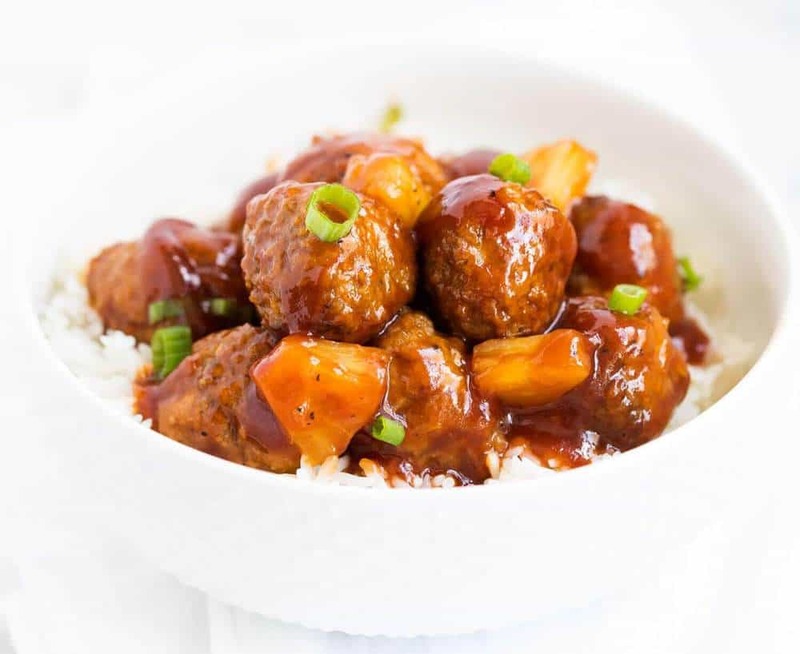 Seriously…these sweet and sour meatballs are so easy to make! It will literally take you less than 5 minutes to put everything in the slow cooker. Scroll down for the printable Hawaiian meatballs recipe. 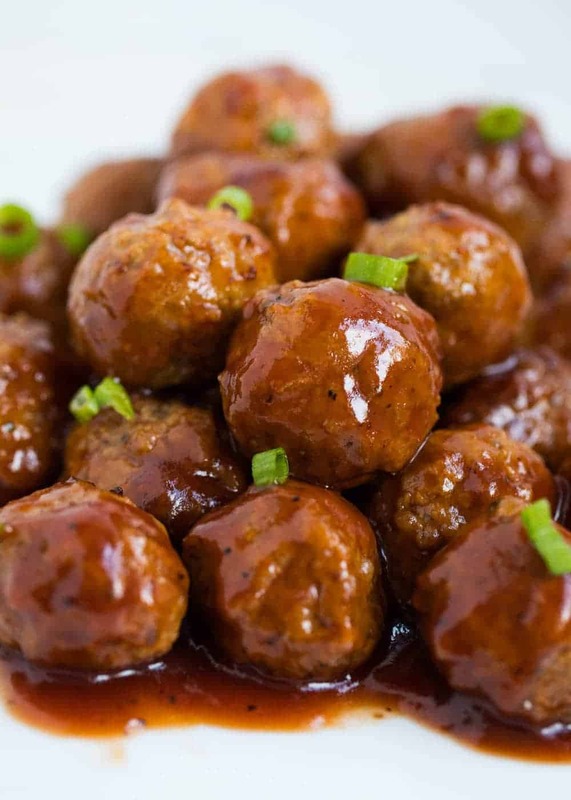 Add meatballs to slow cooker and pour BBQ sauce on top. Then add sliced pineapple and pineapple juice. Cook for 2 to 3 hours on high. Top with more pineapple and sliced green onions if desired. 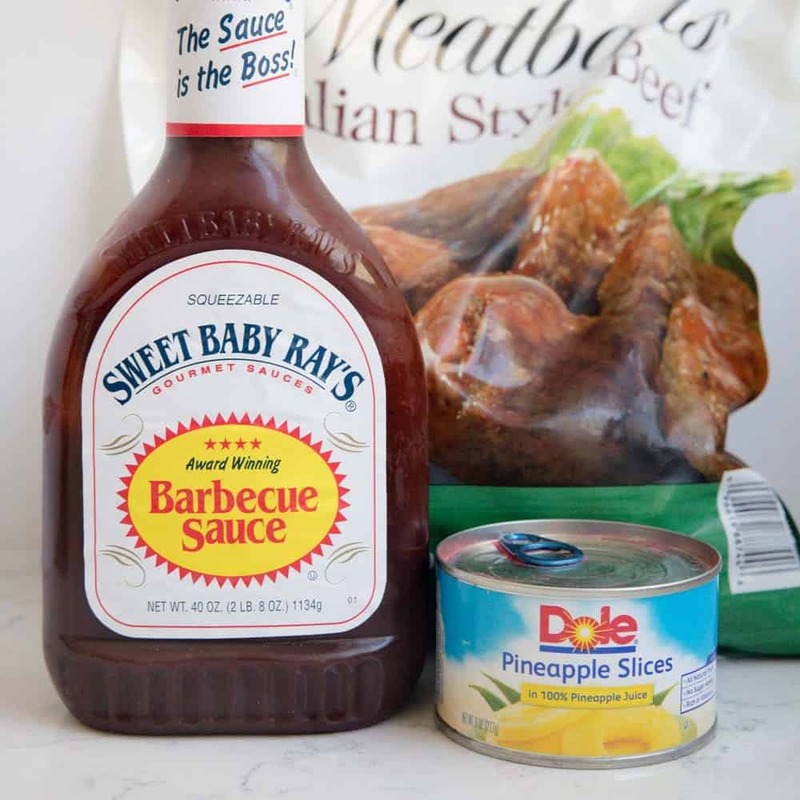 TIP: We love keeping a big bag of frozen meatballs in the freezer, as well as BBQ sauce and canned pineapple in the pantry so we can make the Hawaiian meatballs whenever we need a last minute dinner. Do I need to defrost meatballs before cooking? No! That’s the beauty of this sweet and sour meatballs recipe. Just add the frozen meatballs to your crockpot and they will cook up perfectly in the slow cooker. :) Doesn’t get easier than that! 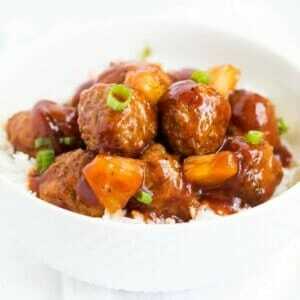 Can you double sweet and sour meatballs recipe? Yes, you can double the Hawaiian meatballs recipe. If doubling, use 50 meatballs, 2 cups BBQ sauce and 2 cans of sliced pineapple. I would also cook the Hawaiian meatballs around 3 hours, until they are tender and warm throughout. If you are tripling the recipe for a super large crowd, I’d recommend using 2 slow cookers. These sweet and sour meatballs aren’t just an appetizer! They make a delicious main dish as well…there are so many ways to serve them! Below are a few of our favorites. Place toothpicks in the top to make a fun appetizer. Serve over rice or cooked noodles. 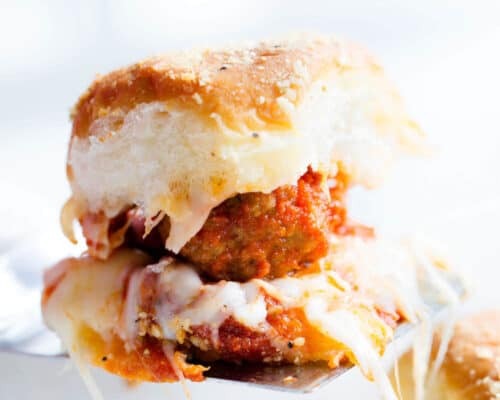 Serve in a roll to make a mini slider. Sandwich between french bread to make a Hawaiian meatball hoagie. Serve directly out of the slow cooker for parties. Serve with sliced green onions and sesame seeds to dress them up. Feel free to add more veggies too, like green/red bell peppers or onions. Slow Cooker Hawaiian Meatballs - This recipe takes only 3 ingredients and 5 minutes to make! So easy and always a crowd pleaser. 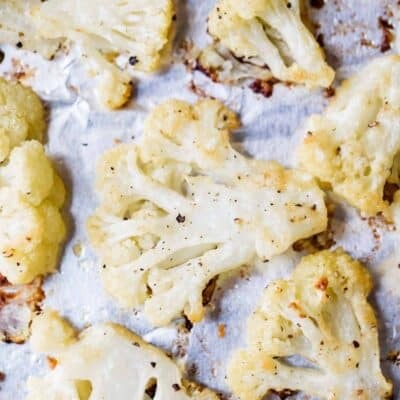 Makes the perfect appetizer or main dish. Add the meatballs to the slow cooker. Pour the BBQ sauce over the top. Then add the sliced pineapple on top and pour the juice over. Cook on high for 2 to 3 hours. Enjoy as an appetizer or serve over rice for a main dish. Top with sliced green onions and pineapple if desired. To double this recipe for a crowd, use 50 meatballs, 2 cups BBQ sauce and 2 cans of sliced pineapple. This sound amazing. Love that you added pineapple chunks. These will be so perfect for my super bowl party! I love using my slow cooker to keep it warm too. The flavor in these meatballs is a knockout! BBQ and pineapple are SOOO good together! 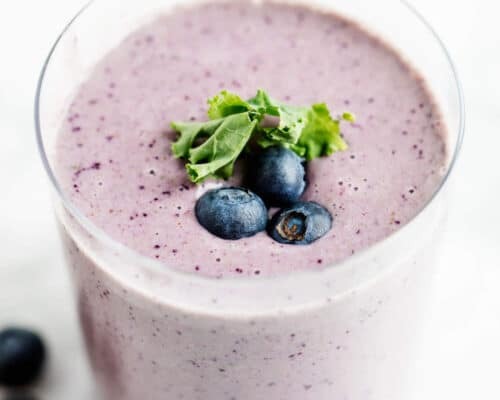 One of my favorite flavor combos! So glad I tried these! Seriously delicious. Hi Ashley! If you are doubling, I would use the greater of the cooking time…so 3 hours. If you are tripling, you may want to use 2 slow cookers! Should I defrost the meatballs before making this recipe? I love this! You had me at “3 ingredients.” If the kids wouldn’t freak out, I’d add a little Sriracha sauce; instead, I just put a little on my plate to dip. (and use turkey meatballs) thanks!